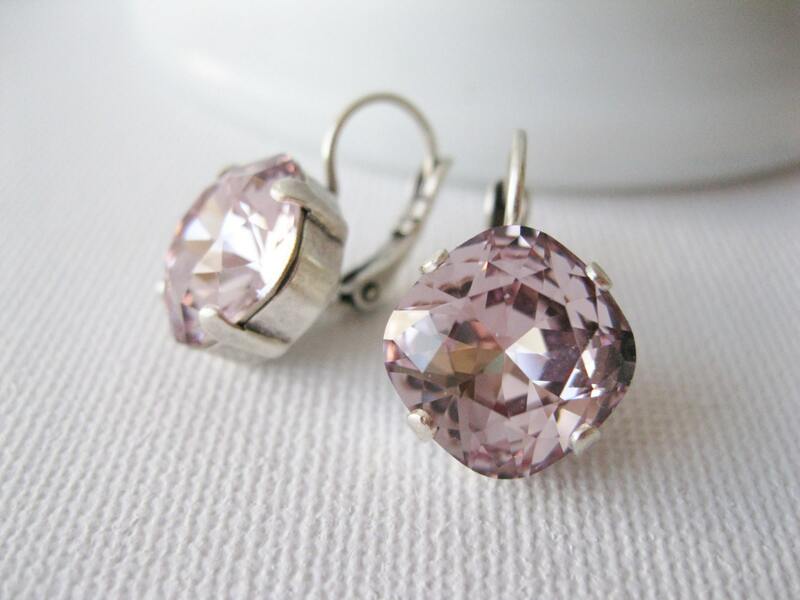 Pale Purple drop earrings featuring large Swarovski crystals. 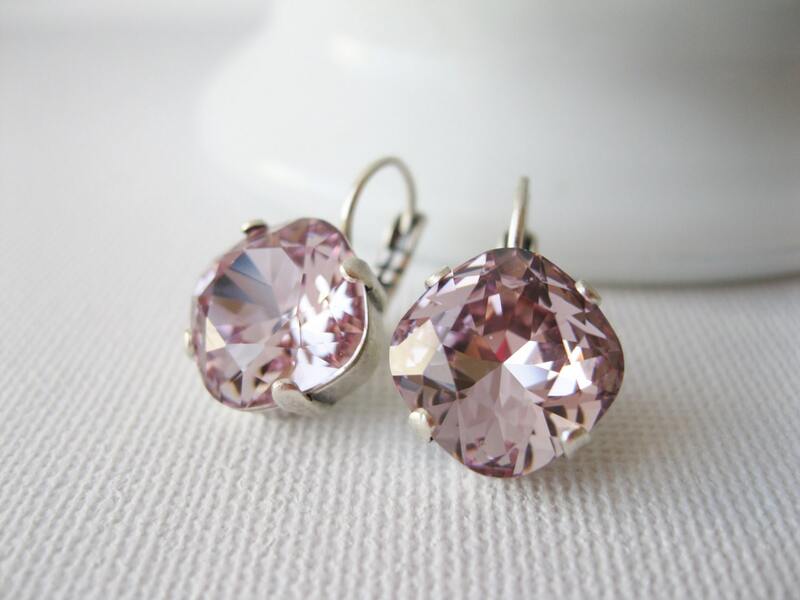 These earrings would be beautiful for bridesmaid or any special occasion. 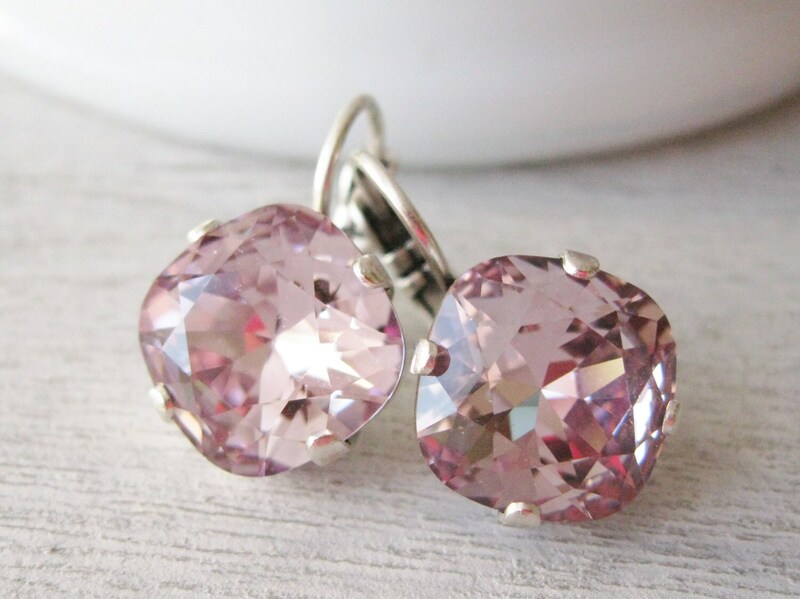 The rhinestones are a rounded square shape. The colour is called "light amethyst." This colour has been discontinued in this size, so when they're gone, that's it! 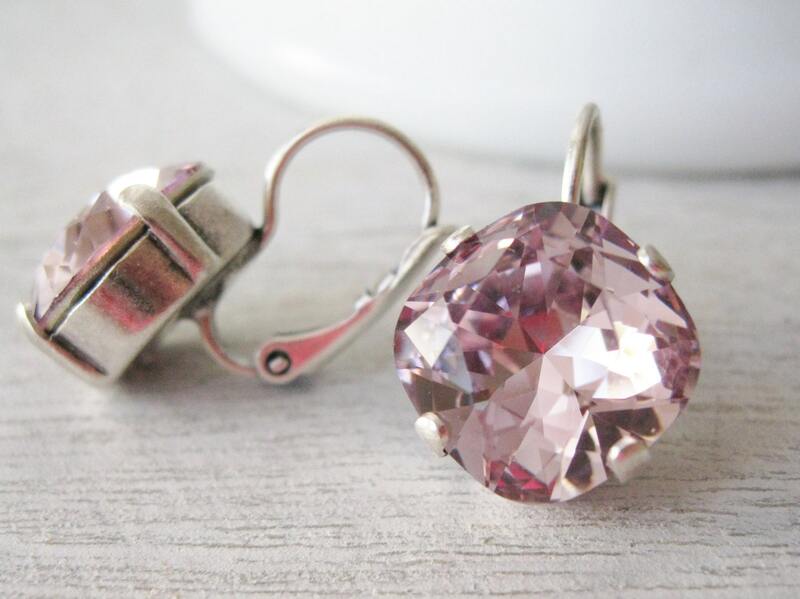 I have hand set the crystals in settings plated in antique silver that have attached lever backs for security. Nickel free. Available in other metal finishes. Please make your choice upon checkout. 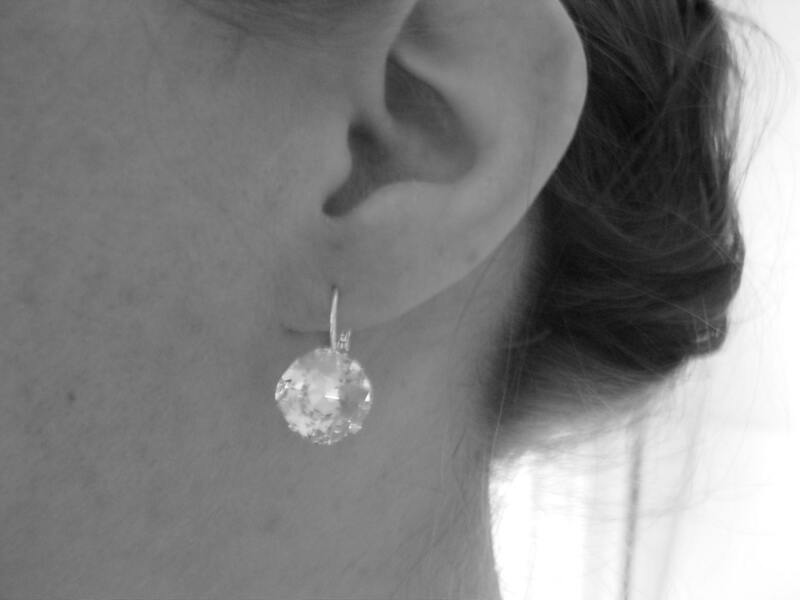 the rhinestones are 1/2" (12mm) across. These beauties will come to you wrapped in a fabric bag, inside a natural kraft box. Please visit my shop policies in order to make an informed purchase. I offer flat rate shipping, so stock up and save!